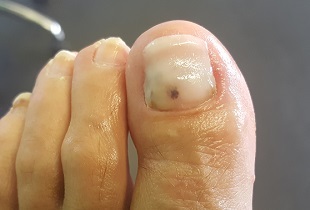 Unlike your beautician, podiatrists are able to use a sterile nail burr (if required) to remove all of the infected or damaged nail prior to the nail reconstruction. 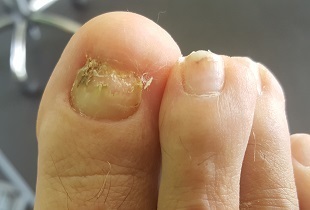 What is Toe Nail Reconstruction? Wilde-Pedique Silver Plus is a gel system designed specifically for toenails. It is an extremely elastic UV gel which adapts to the movements of the toe. 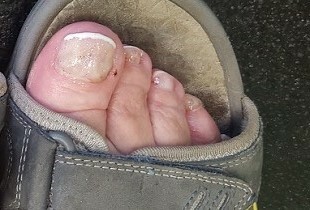 Its unique adhesive properties mean that good results can even be achieved on calloused layers of skin where there is no toe nail. The gel resin has the ability to bond to a surface, add strength and harden with a glossy finish, whilst at the same time adapting to the movements of the toe due to its flexibility. The Wilde Pedique gel, once applied and cured, will essentially look like and cut like a regular toe nail. 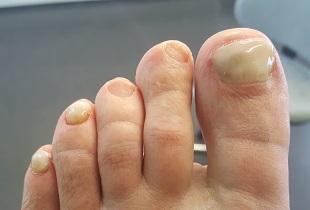 It is an ideal solution for those clients who are looking for a cosmetically pleasing look and at the same helping stopping the snagging of the nail and possible infection. It may need refilling every 4/6 weeks until the nail is grown fully. 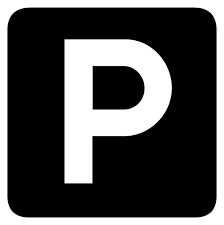 It also contains Piroctone Olamine and colloidal micro silver which have anti-bacterial and anti-fungal properties. Wilde-Pedique is effective on scaly nail surfaces, for correcting ridges and deformations, for hiding discolouration and for protecting growing toe nails. Who would want a gel toe nail treatment? People who like to show off their toes! Who like a permanent polish finish or french finish. 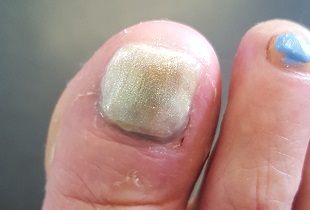 Clients requiring toe nail correction or a false nail for protection because of trauma or surgery, as it acts as an excellent prosthesis after surgery. 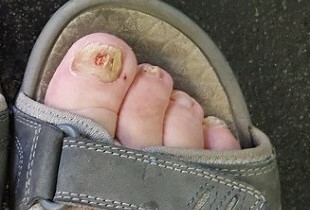 Clients with psoriatic nails or nails requiring protection from infection due to vertical splits, and also diabetic patients. 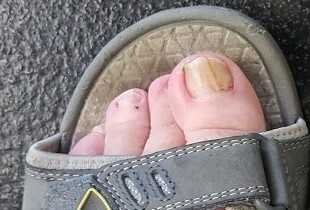 The Wilde Pedique gel once applied and cured will essentially look like and cut like a regular toe nail. It is an ideal solution for those clients who are looking for a cosmetically pleasing look and at the same helping stopping the snagging of the nail and possible infection. It may need refilling every 4/6 weeks until the nail is grown fully. No Primer/Chemical Activator - LCN gels use no aggressive acidic primers which damage the natural nail plate. 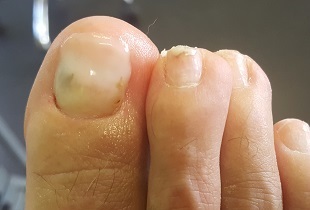 Once an LCN nail has been applied it can be treated the same way as a natural toenail, which means it can be filed and varnished using standard nail polish, which can also then be removed using nail varnish remover, without damage to reconstructed nail. 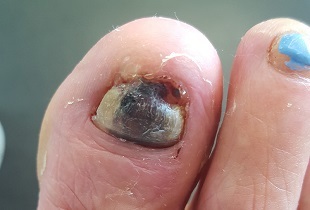 After care is mostly common sense as any trauma to the nail or excess pressure may damage the LCN in the same way as it would damage a natural nail. We will require two sessions. 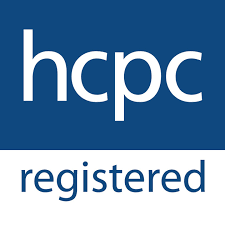 The first as a New Patient (40mins) £44 to assess and treat the nails as a normal podiatry treatment, then a further 40min appointment to carry out the reconstruction(s) which price varies depending on the number of toes to be treated.